Size: 3/8 in. by 3/8 in. Desc: 14kt. 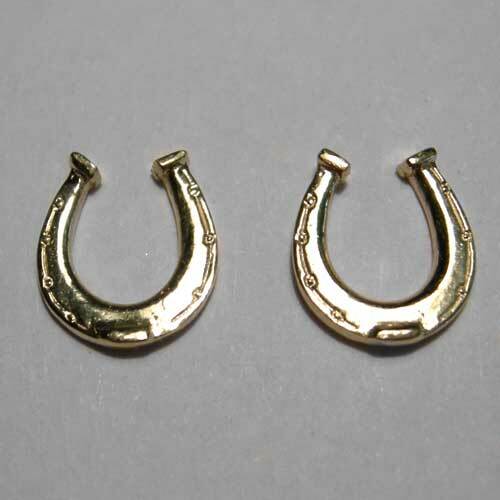 yellow gold horse shoe post earrings. Well made and very detailed.